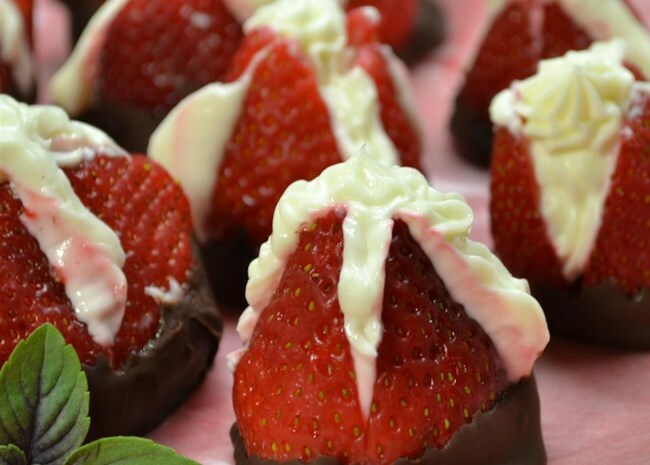 Get ready for strawberry season with these fresh, delicious strawberry recipes. The season’s first strawberries sprinkle in agonizingly slowly first, but then a bounty flows all at once. That leaves you with a kitchen full of the sweet, ruby berries that require your immediate attention or you risk losing what you’ve waited through a long, cold winter just to have once again. These recipes, each unique and creative, are fruity ways to use up each pint and make sure you make the most of the fleeting moment when strawberries are at their best. Related: See our entire collection of luscious strawberry recipes. This three-layer strawberry salad is a classic springtime dessert. Salty, crunchy pretzels form the base. 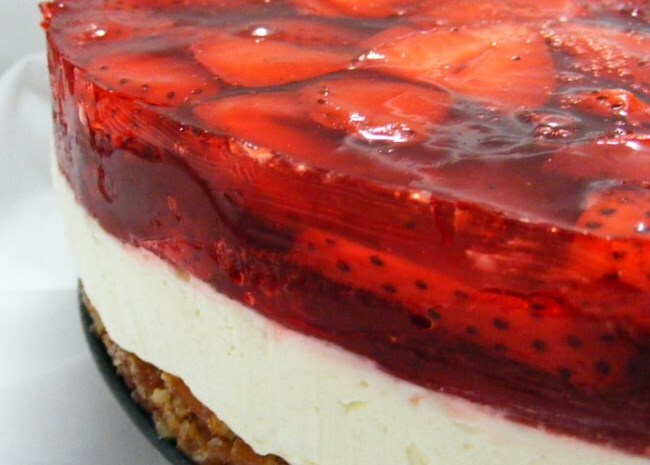 A creamy sweet layer of cheesecake filling sits just below a bouncy layer of strawberry gelatin and whole berries. (This recipe calls for frozen berries, but you can substitute for fresh berries that have been washed and trimmed.) Keep this recipe in your back pocket for church potlucks, neighborhood picnics, or new moms and dads. Relieve yourself of the idea that all strawberry recipes need to be complicated or special when the berries are at their best. Sometimes, simple is supreme, and these stuffed berries are the strongest evidence of that idea. Make a fluffy cheesecake-like filling, and pipe the mixture into sliced strawberries for a fast dessert or great sweet for parties. Drop biscuits are a fluffy, tender alternative to angel food cake or dense shortbread. The berries turn juicy and sweet while the biscuits cook and cool, which brings this whole dessert together quickly. (You can make the biscuits ahead of time, storing them in an airtight container, if you plan to serve these later.) “Amazing. This was a perfect way to end a good meal,” Allrecipes user Siobain says. Strawberries are sweet, but they’re not destined for the dessert course only. 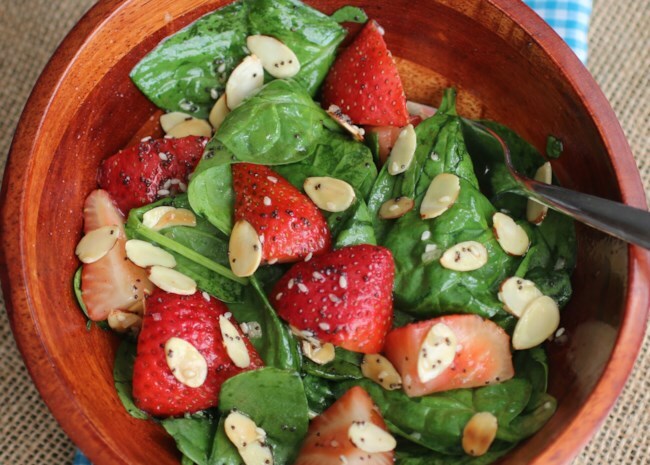 This great spinach-strawberry salad makes for a delicious lunch (add some chicken for protein) or a great side salad at dinner. The dressing adds a surprising pop of savoriness, which balances the sweetness of the fresh fruit beautifully. 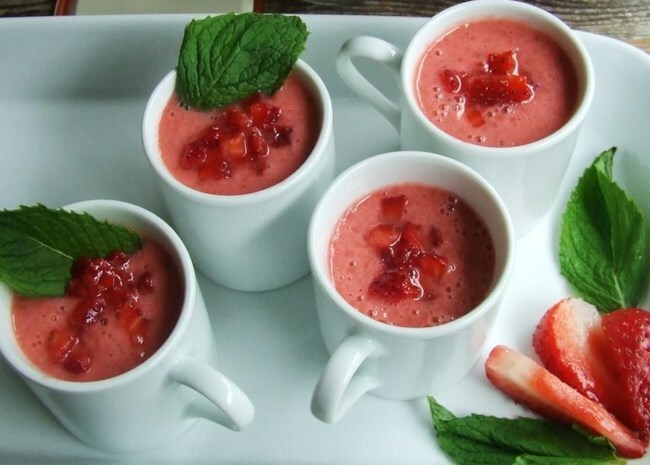 Don’t be deterred by the puzzled looks when you serve this refreshing strawberry soup. One sip will convince the skeptics of your culinary genius. This recipe blends the berries with bright, zesty lemon and orange juices, as well as creamy yogurt, to create a crisp, cool soup that’s a great palate cleanser or fun soup course on a warm spring day. 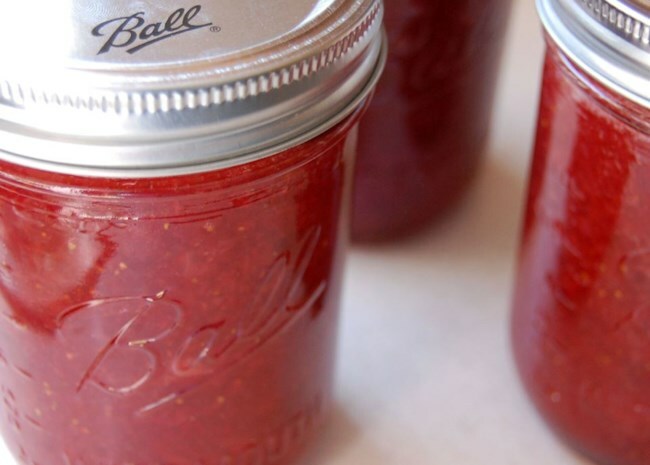 If the new season springs a bounty of strawberries on you, this simple jam recipe is a great way to save them for when the strawberry patch has produced its last fruit. Simple, sweet, and easy to make, even novice jam makers will find this recipe a great resource for using up the ruby red fruits. “Just the way my grandma makes it!” Allrecipes user Sarah says. Just when you think you’ve made all the strawberry sweets and treats you can make, another bushel arrives—and that means it’s time to make a drink. This fruity refresher is made by extracting the berries’ sweetness, blending it and straining out solids, then combining with water and chilling to ice cold. It’s sweet but light, and just what the cook ordered after a day of baking and jamming.